A flexible, efficient 1080p HD 3DLP digital projector, with your needs in mind. 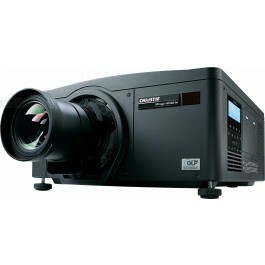 The Christie Roadster HD14K-M is an industry-standard large venue projector, powerful but compact. The most compact in its class, the Christie Roadster HD14K-M provides the high-performance and feature-rich standards expected in all Christie products. Embedded warping, blending and colour matching, along with built-in portrait capabilities give you even more installation flexibility with this HD model.